Where may find a BIOS with microcode of E3-1265Lv3 for MB Q87T ? Latest Q87T BIOS 1001 has microcode for CPUID=0x306C3: version - 0x19, date - 02/26/2014. This image on what mainboard? This picture is only for CPUID demonstration, not on your motherboard. So requested CPU is supported. (10-03-2016, 12:30 PM)DeathBringer Wrote: [ -> ] This picture is only for CPUID demonstration, not on your motherboard. Simply I don't trust to my happiness! Sorry, for reopening this topic, if that is a problem please let me know. The above list seems to be outdated most of the CPU's are not available any more, however there is a new bios also, but I cannot figure out how to extract the supported CPU's from the bios. I have downloaded AMIBCP and opened the new bios image, but I see nothing on the BIOS features tab, I can also not find any matching strings. And I'm also curious how to find it. Thank you very much! Is it pure theoretical interest? Did you tried to boot with new CPUs? BTW: i5-4460 is supported natively - https://www.asus.com/Motherboards/Q87T/HelpDesk_CPU/ So this motherboard supports for CPUs with Haswell Refresh core. (05-13-2018, 08:21 AM)DeathBringer Wrote: [ -> ] Is it pure theoretical interest? Did you tried to boot with new CPUs? I focused primarily on the XEON support so I missed to check the official support for the i5, sorry, so that is a good fallback. Its a this moment theoretical, but only because I did not order anything yet, I have a Q87T running with a G1820, but I want to give it a serious upgrade. 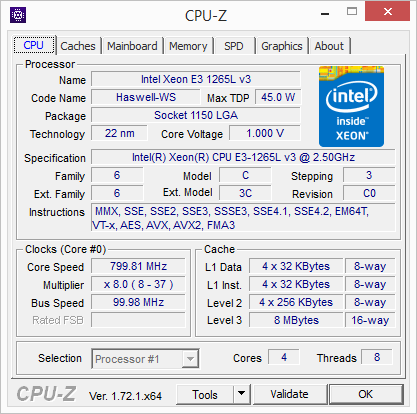 I think that no mod is required for any CPU with Haswell Refresh core.